Pure blue, tropical water, a warm breeze and of course - the shade of a palm tree, what could be more relaxing? 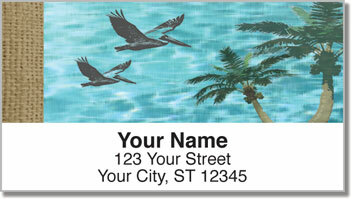 This eye-catching set of return address labels will give your letters and packages a refreshing new look. They'll remind you of easy-going island living where the sun is always shining and there are no deadlines to meet, clocks to punch or meetings to attend. 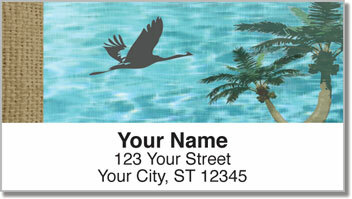 If you're looking for a way to quickly complete the task of preparing outgoing mail - this is a simple solution. Just peel and place your self-adhesive labels on every envelope. Then you can get back to relaxing! 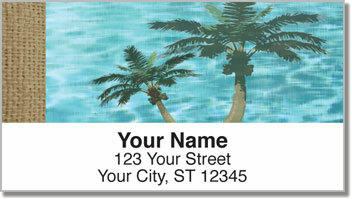 Order your very own Peaceful Palm Tree Address Labels right now! 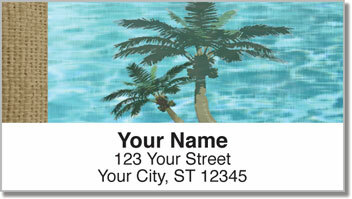 You'll also find this selection in matching personal checks.